Tourists from GCC states spent a whopping £1.1 billion ($1.72 billion) in the UK during the first nine months of 2014, said a top official. The figures represented a growth of four per cent over the same period in the previous year. 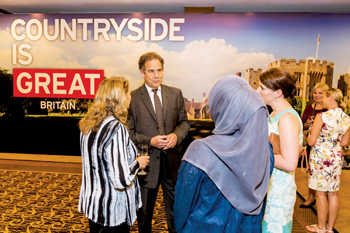 Among the GCC countries, the fastest growth was recorded by Saudi Arabia with a 42 per cent jump in visitor nights (1.9 million) and a 58 per cent increase in spend, mainly driven by the kingdom’s families, Christopher Rodrigues, the chairman of VisitBritain, the UK’s national tourism agency, told TTN. Saudi Arabia clocked 114,000 visits to the UK and a spend of £301 million ($474.2 million) in the first nine months of 2014, said Rodrigues, while speaking on the sidelines of VisitBritain’s largest annual Asia Pacific Middle East overseas B2B tourism mission held recently in Bali, Indonesia. According to him, by 2020, Saudi Arabia is poised to have the highest projected value percentage growth of about 120 per cent among the 20 major and emerging markets. Despite the spectacular performance by the Saudis, the biggest market for the UK in the region is still the UAE, with its residents spending about £344 million ($542 million), accounting for 198,000 visitor numbers in the first nine months of 2014. The other key markets in the region are Kuwait with a spend of £279 million ($440 million) for 74,000 visits and Qatar with £98 million ($154 million) for 44,000 visits. 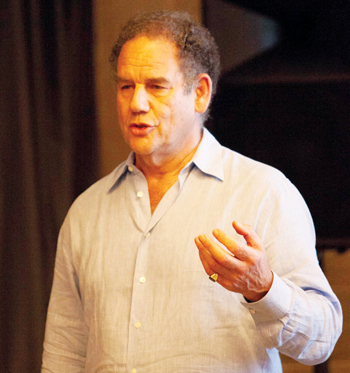 The other Gulf states also contributed to the growing numbers, said the VisitBritain chief. “Bahrainis spent about £48 million ($76 million) for 18,000 visits and Omanis £27 million ($42.5 million) for 18,000 visits,” he added. On the key issues of visas in the region, Rodrigues said the GCC market continues to grow and the main focus was to get as many tourists as possible from this region to the UK. “But for that we need to improve the visa regime and try to simplify the process, which our government is already looking into,” he pointed out. “However, the real challenge lies in striking the right balance between security (which is paramount) and simplicity (which is desirable). We can’t ignore security, because people from the GCC would not come here if it was not safe,” stated the industry veteran. Rodrigues said that one of the issues that the UK authorities faced in the GCC was that there were a lot of last-minute group bookings for holidays, leaving little or no time for applications to be properly assessed and visas issued. He said that in China, the UK’s visa procedure was very streamlined and VisitBritain was now focusing on easing visa procedures in its other major markets. “In India, which is a booming market for us, we need to ease our visa procedures,” he said while pointing out that in the GCC – which is a valuable market – the UK is “doing quite well”. Rodrigues said that the UK would do well to adopt Australian model of issuing tourist visas, which he termed as a “very smooth process”. “They do electronic visas better than we do,” he admitted. Rodrigues said one of the biggest challenges facing UK tourism was the weakness of the euro. “It will hit our tourist numbers more than the spend because the Europeans tend to have short stays mostly on weekends,” he said. The UK is focusing on its luxury offerings targeted at high-net-worth individuals (HNWIs) in the GCC market, while urging them to tour the whole of Britain and not just London alone. “For instance, they could travel to Le Manoir aux Quat’Saisons, a Michelin-star restaurant outside of Oxford within 45 minutes of London and enjoy the day there, then take the family for a visit to Oxford, and then perhaps breeze through some beautiful countryside gardens there. “So our message to the GCC’s HNWIs is that not only London, but the whole of UK has some fascinating restaurants and some marvellous countryside hotels. We are now working with GCC travel agents to better understand the needs of the luxury market and better serve them as they are valuable repeat visitors,” said Rodrigues.